What can I say? I love the muppets from Sesame Street. Like many children across America, and the world, I grew up with The Count, Grover, and Kermit the Frog and the rest of the characters. 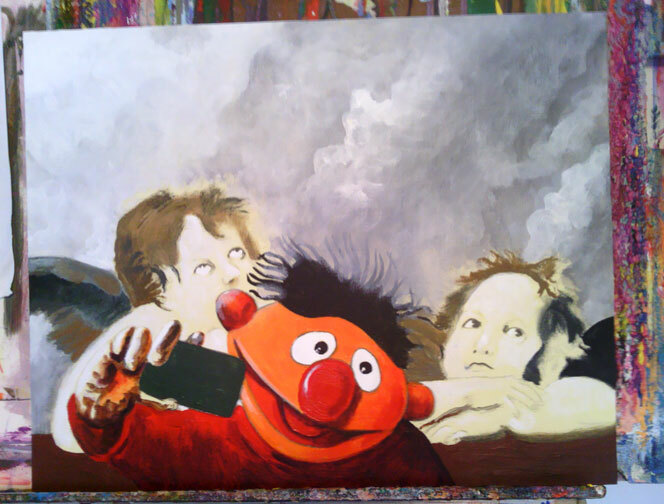 Progress of painting # 5 and # 6 0f 6 (so far) inspired by angels and muppet from Sesame Street, Ernie. 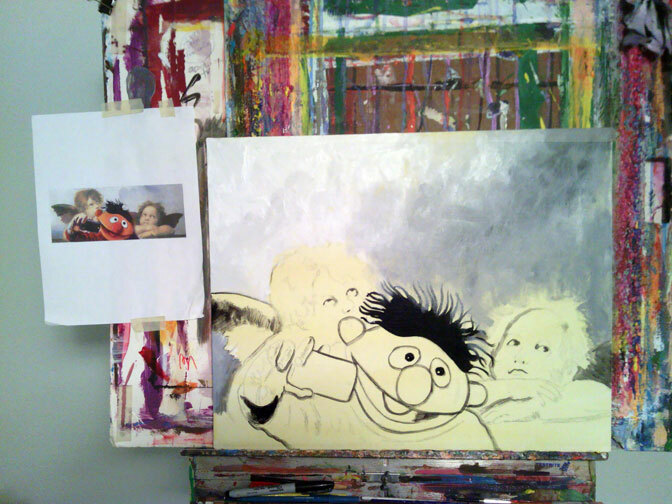 Progress of painting # 3 and # 4 0f 4 (so far) inspired by angels and muppet from Sesame Street, Ernie. 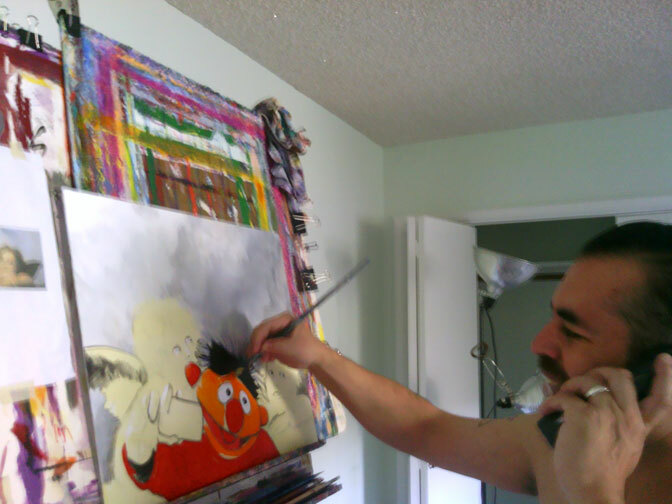 I am working in my studio talking on the phone. 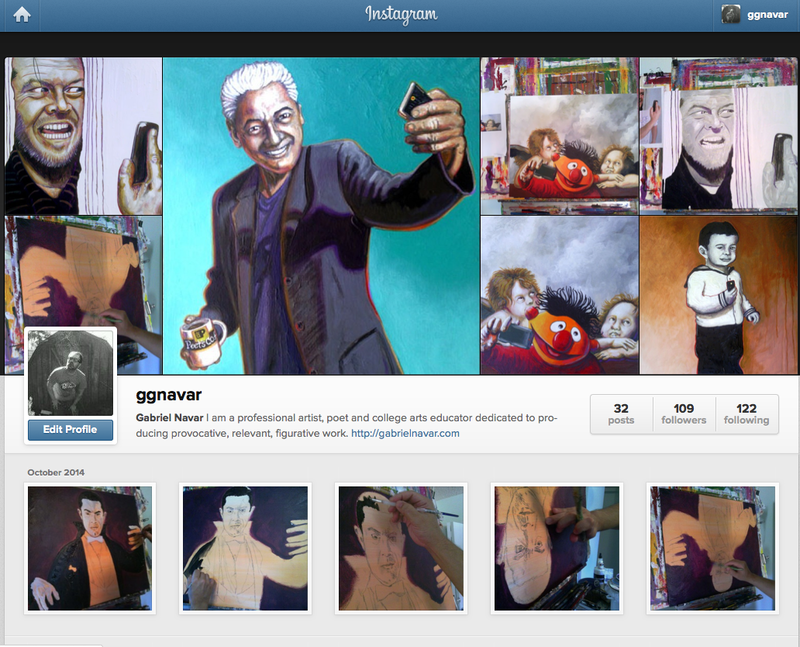 Yes, I enjoy painting, dancing to the great music of Gustavo Cerati, listening to the news and talking on the phone all at once. 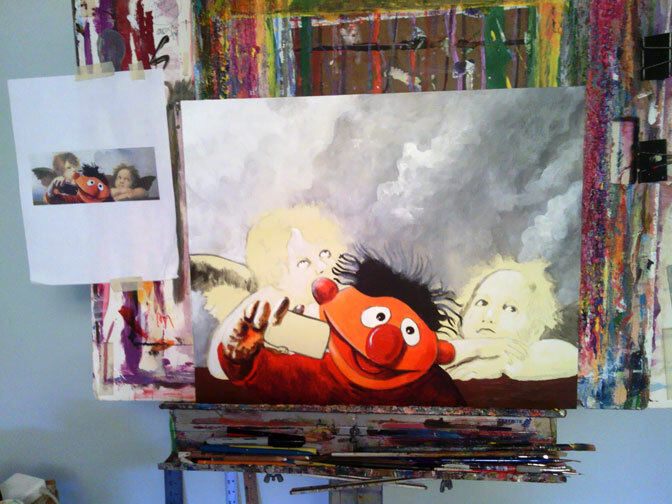 Progress of painting inspired by angels and muppet from Sesame Street, Ernie. 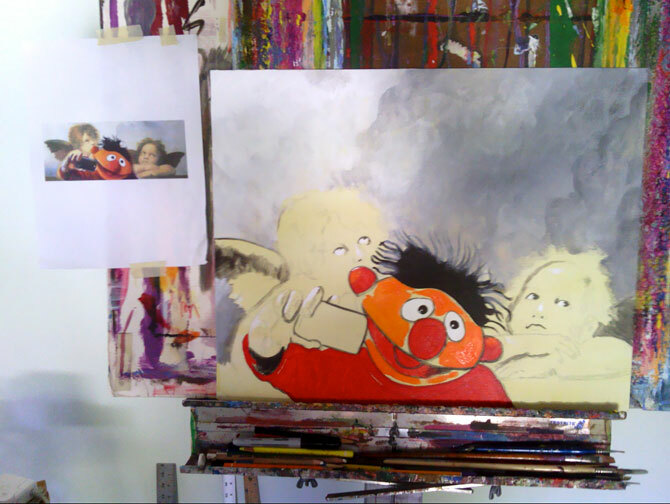 At this stage I have started to work on the sky and have started to outline the figures, primarily with black paint. 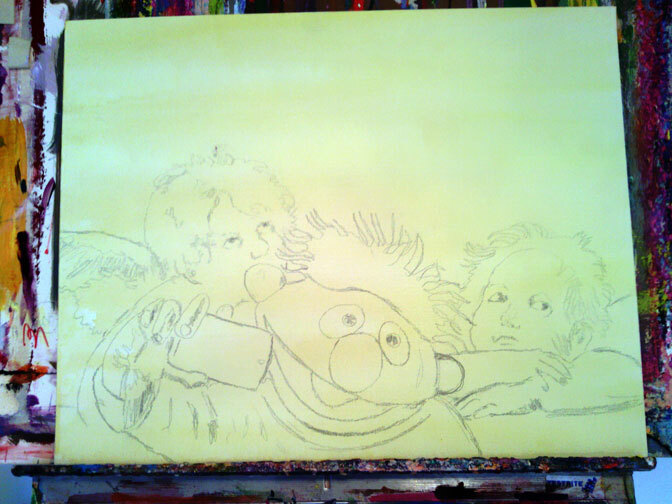 Started new painting inspired by #angels and muppet from #SesameStreet, #Ernie. 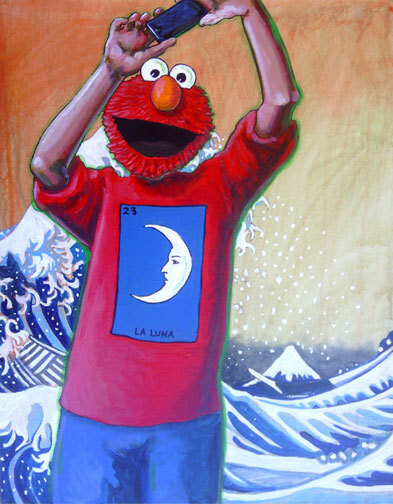 Just finished this painting inspired by Elmo from Sesame Street, the Mexican Loteria and the Great Wave. 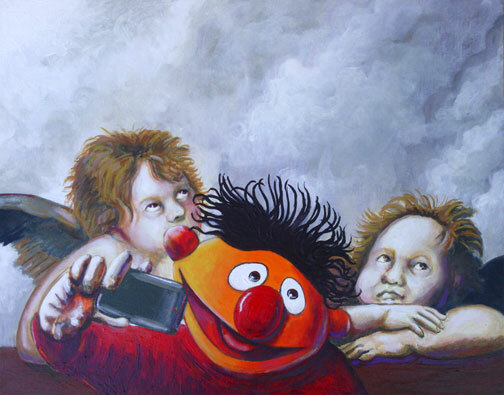 This painting is also part of my “Selfie” series.